How do you know if you are an alcoholic or you are abusing alcohol? Many are unaware there is even a difference. The main factors that distinguish the two depend on the severity of the habit and the behaviors in question. Alcohol abuse involves drinking alcohol to excess regularly and it taking precedence over certain aspects of your life. Alcoholism is more serious and generally much more obvious, as those suffering from it need alcohol to function and allow it to completely dictate and control their lives. 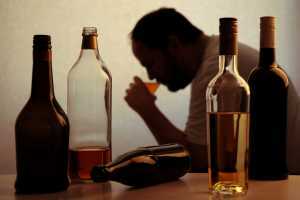 Alcohol abuse can also develop into alcoholism, so the two are ultimately linked. Alcohol abuse involves someone drinking too much, too often. Alcohol dependence is when the individual feels completely unable to stop. Alcoholism involves someone being completely dependent on alcohol and needing it to get through the day. They have a high tolerance for strong drinks and need more and more to feel the effects they require. The individual loses control when around alcohol and cannot stop themselves from drinking. They drink despite the financial or personal problems it may be causing. Alcohol, and their need for it, dominates and controls their day and everything they do. The addict cannot function without drinking and drink at unsociable, unusual times, generally alone. The addict is regularly intoxicated and rarely appears sober. The addict completely ‘lets themselves go’ in favor of drinking. This can include their appearance and the state of their home as well as their financial responsibilities. This is when the individual is not yet dependent but is abusing alcohol regularly. They neglect certain responsibilities because of their drinking habit, including work, family and friends. Alcohol abuse can be much more subtle than alcoholism, as those suffering from it can outwardly appear to be functioning normally. The individual takes risks as a result of their drinking. This can include drinking and driving, mixing substances, or doing reckless things when intoxicated. They continue to drink even when it’s hurting them or making them sick. They drink when they need to cope with feelings and emotions or to relax. The individual will generally drink at social events and when is deemed ‘normal’, but they will take it further than anyone else. The individual may choose drinking over spending time with their family or going to work, but it has not yet caused them to lose these aspects of their life. They will use alcohol as a crutch and a comforter if they’re emotional or stressed. Detox, rehabilitation and learning how to maintain sobriety are the key aspects of treatment for alcoholism. Treatment can be difficult and will be likely to include troubling psychological symptoms as well as uncomfortable physical ones. Simply managing and moderating alcohol use is not recommended for those who suffer from alcoholism, as they have already demonstrated it controls their life if they consume any amount. Complete abstinence is generally regarded as the only option. Alcohol abuse treatment depends largely on the amount the individual is drinking and whether they are able to moderate their drinking or require full abstinence. Some do not trust themselves and prefer to remove all forms of alcohol from their lives, others simply want to improve their relationship with alcohol and drink in moderation. Those who have tried moderation and failed are encouraged to become abstinent, however.